Siamo felici di ospitare l’UNICO Campo estivo con l’Open Status dedicato alla danza irlandese per tutta l’Europa Continentale con la partecipazione della campionessa SIMONA MAURIELLO, prima ballerina di Lord of the Dance. We are delighted to hold the ONLY Open Status Irish Dance Camp to be held in Continental Europe, with the participation of the Champion Irish dancer & Lead of Lord of The Dance, Simona Mauriello. Half board in double, triple and quadruple rooms. 4/5 hours of dancing classes per day. (Divided between morning and afternoon). 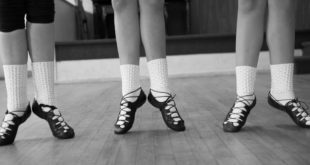 Performance techniques, Show Choreography, Fitness training, Feis training, Ceili dancing, Traditional sets . We have 2 large halls/ 2 sale. Music workshops will also be offered. (Not included in the price of the camp). 3 Days of dance course + 2 nights in Hotel (half board) cost Euro 250. 3 Giorni di Danza + 2 Notti in Hotel (Mezza Pensione) cost Euro 250. 2 Days of dance course + 1 evening in Hotel(Half board) cost Euro 155. 50% must be paid when you reserve your place, the remaining 50% by 1st June 2019. For those of you arriving from outside Italy there are low cost flights which operate into Milan Bergamo and Malpensa, also Parma. All of which are about 90 minutes to Salsomaggiore. Transfers can be organized.